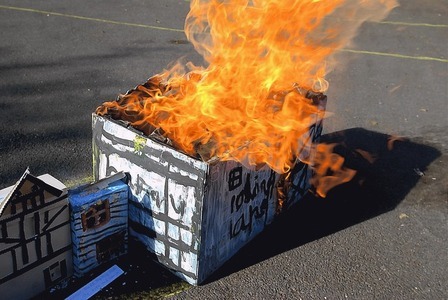 Class 2 have completed their history topic of the Great Fire of London with a fire of their own! 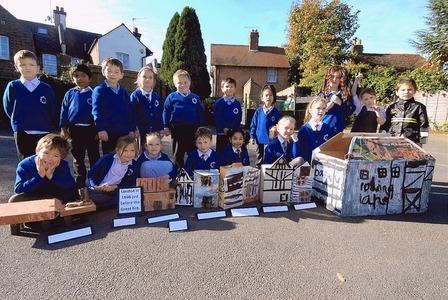 They made model houses and then grouped them closely together before setting light to them. They watched how quickly the fire spread through their dry models and how it destroyed them completely. Fortunately they had a hosepipe at hand just in case it was needed! The Great Fire of London swept through the central parts of the city for three days in September 1666. It is estimated that 70,000 homes were destroyed and 80,000 people were killed.